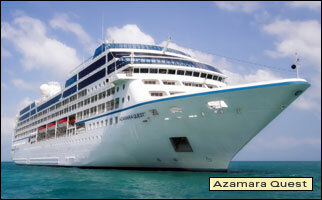 The staff is one of the friendliest and most helpful in the cruise industry. The ship (a luxury-upmarket hybrid) has a luxury feel at an affordable price. Fare includes restaurants, house wines, waiter & cabin gratuities, and more. Late departures and overnighters allow you to better experience port areas. Choices include Discoveries, Aqualina, Prime C, and Windows Cafe. Being mid-sized, it can offer big-ship amenities, but on a personal level. Well appointed and laid out. 94% have ocean views. Nearly 70% have verandas. They are cozy, comfortable, nicely appointed, and relatively spacious. Because few if any children are onboard, screaming kids won't disturb your peace. Whether for dining, disembarkation, whatever, they were short or nonexistent. You rarely encounter inconsiderate, loud, or otherwise disturbing fellow cruisers. And your peace and quiet won't be distrubed by a bevy of screaming children aboard.